CELEBRATION!!!! Come out tonight to 851 Celebration avenue, from 5-9:30pm!!! We will be there with KONA DOG, YUM YUM, CROOKED SPOON, CITY EATS, MONSTA LOBSTA, 5GASTRONOMY and other fantastic food trucks! Come out and have some great food and fun with us! WIN A $100 GIFT CARD!!! (All trucks subject to change) Cafe Rouge,Twisted Cuban, Firehouse BBQ, Saigon Sizzle, The Flattery, Big Wheel Provisions,Treehouse Trucks, The Crepe Company, La Empanda, Tastebuds, Melissa's Chicken and Waffle, Fork in the Road, Korean BBQ, BemBom, Swede Dish, Fantastic Hummus, Pupusas, Monsta Lobsta 5 Gastronomy, C&S Brisket, Cafe Cocoa Mo, Pop Craft, Sit and Stay Pet Cafe, Darland Bakery, Sunset Italian Ice, The Batter Bowl, Yum Yum, Beard Poppa. 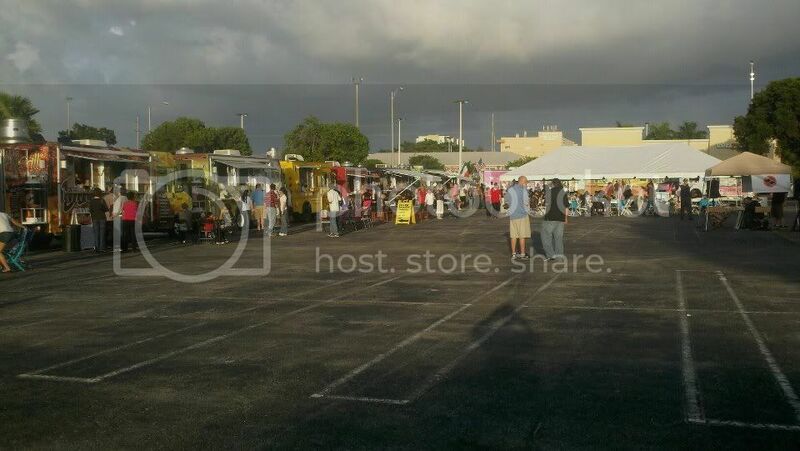 Food Truck Crazy.. Sunday Aug.12th@Oviedo Mall 4-8pm. DEBUTING 5 New Trucks @Oviedo are...Japanese Flair,Sweet City Gelato & Gourmet Desserts,Gone Bananas,Curdside Chef & Treehouse Truck...RETURNING are...Graciously Sweet,City Eats,Mini Donut Expert,Apps's Wings & Burgers,ClawDaddy's Lobster Rover,Honey Dripper,London Fish & Chips,TJ's Seafood Shack, Silver Bistrio,StrEats 407,Carribean Catering,Que Rico,Fantastic Hummus,Mi Casita, Sabai Sabai Mobile Thai & Taco Slapper,The Whip. Come hungry & bring your lawn chairs!